Peaceful setting in the Baraboo Bluffs. Cozy open concept home with wood burning stove to keep you toasty warm on those cold winter nights. 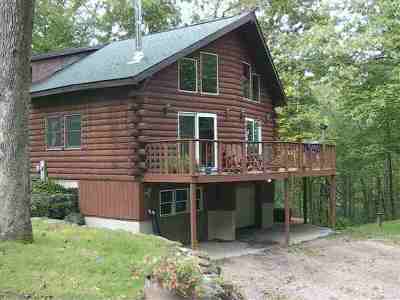 3 bedrooms with 2 bath all set on 1.5 acres with turkey and deer out your back door. Garage was turned into hot tub room, but could be turned back into garage. Directions: From Baraboo: Hwy 113 South, Lt On Hwy W, Rt On Neuman Rd, Lt On Sleepy Hollow Rd. Items Included: Stove, Refrigerator, Dishwasher, Wood Burning Stove, Window Coverings, Water Softener, Hot Tub.